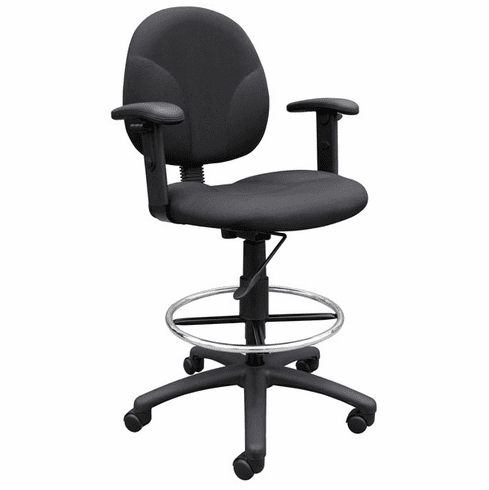 Boss Contoured Drafting Office Chair [B1690] Free Shipping! Quality design with a durable and large nylon base to ensure stability, this Boss drafting stool is also is constructed with comfort in mind. The stool features a pneumatic gas lift seat that adjusts to the perfect height and matches a contoured back which provides ample support and help relieve back strain. These contoured drafting chairs normally ship within 2 business days from our GA or CA warehouse.